This weather got me like…. time to stay indoors and read while the snow melts! The snow tried to keep me away from this months box, but finally they have arrived! Pachinko – Min Jin Lee – this was my number one choice for sure. Based on the struggles of a family of Koreans living in Japan. The first excerpt I read about it reminded me of one of my favourite books so it was an easy choice. The Animators – Kayla Rae Whitaker – a book about women going for what they want, and oh, Animators. 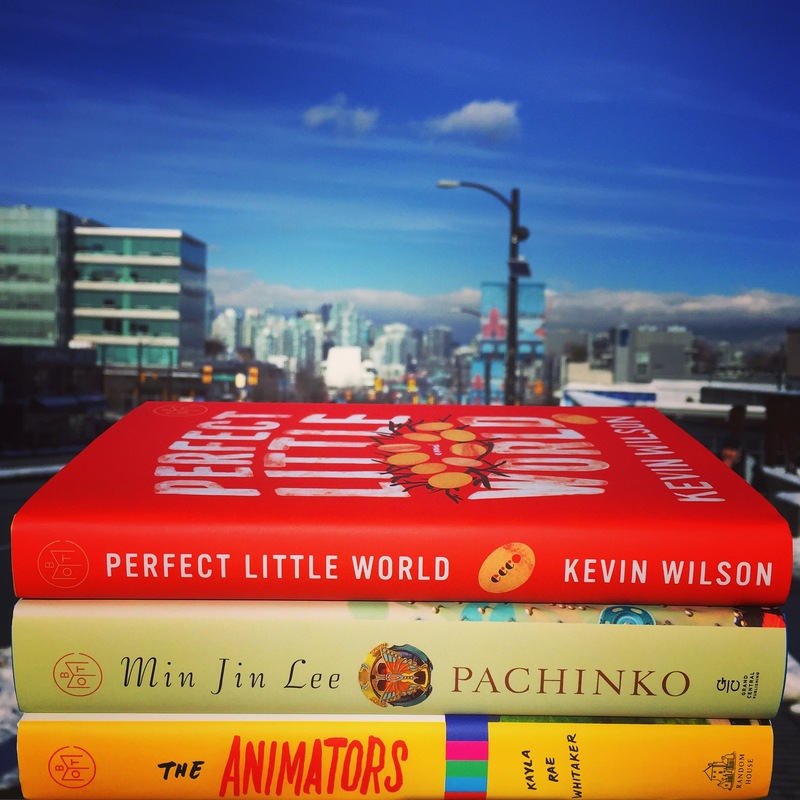 Perfect Little World – Kevin Wilson – based on a social experiment by a child Psychologist, this story is about striving for perfection. The Possessions – Sara Flannery Murphy – a bit of a horror story I would say, allowing you to grieve your loved ones by another body possessed like a ghost, by taking a pill. Crazy! Behind Her Eyes – Sarah Pinborough – a thriller and nail biter till the end, will you consider the clues and figure out the ending before it’s over? Or end up re-reading this one to find out where you went wrong?